An English-friendly Conan? You’re kidding! Ah, the rare Case Closed volume where there’s not a drop of kanji/Japanese wordplay around! 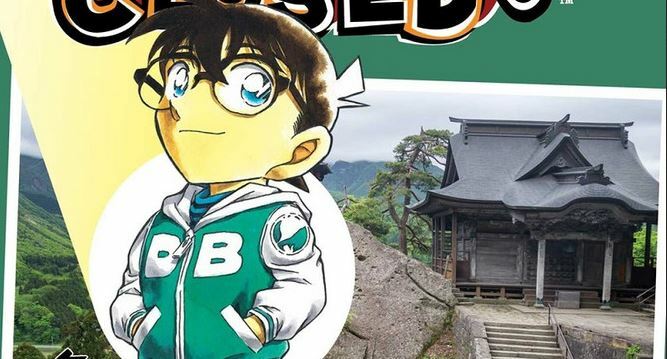 We’ve long since elaborated on the unavoidable language barriers within Gosho Aoyama’s famous mystery series, but even if I prefer to simply let the cases coast along and surprise me as opposed to doing any detective work, I can’t help but admit last year’s batch of language barriers kinda bummed me out. 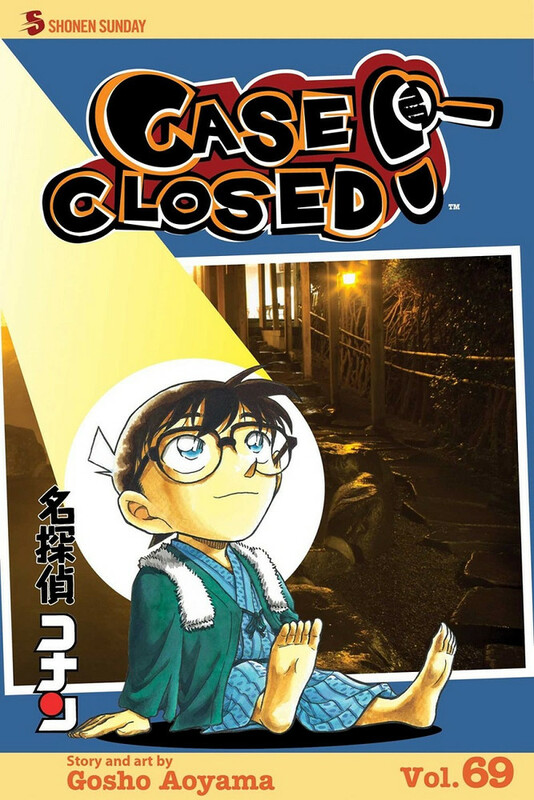 Thankfully, 2019 – or should I say 2010, when these chapters first graced Japan — decided enough is enough and kicks off the year with a perfectly accessible Case Closed volume, containing three solid cases and an intriguing lead-in into the next installment. Conversely, when disregarding said lead-in, Volume 69 largely dispatches of any gimmicks, with our first three cases presenting straight-up murder mysteries. 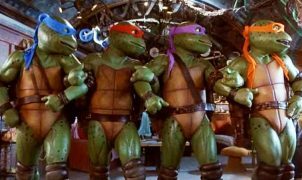 All fall within your typical Case Closed archetypes: you have the tragic case of vigilante justice, a brain-racking locked-room murder, and a “okay, we know whodunit, but how did they pull of the crime?” shtick. None ever dream of the plot forward, instead entertaining us with smorgasbord variety, them fleshing out Case Closed’s world, and even some heartening character-driven antics, drama, and romance. While I’m at it, the cover photographs differ across the world, despite (mostly) sharing the same theme. As for our ”how did the criminal commit the crime” case, we’re not so much interested in that particular answer as how our lovable cast yet again engages in romantic shenanigans, not the least in our star-crossed couple in Jimmy and Rachel. While the murder mystery revolves around a marriage gone sour, there’s nothing but sweetness abound with our cops and detectives; really, much as Richard and Eva are this close to getting back together, I can’t be the only one demanding a wholesome rom-com sitcom between Santos and Kobayashi? Poor guy couldn’t help but buy out an entire candy store for White Day. 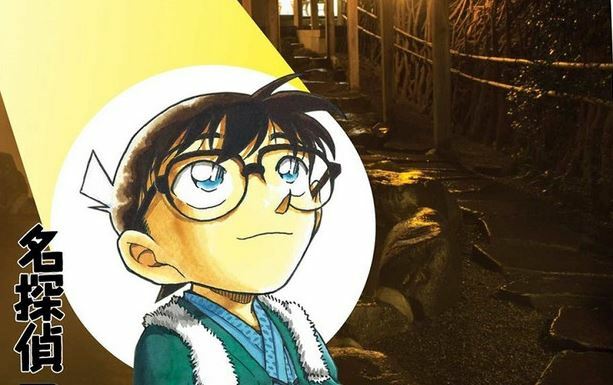 Our final case leaves us at something of a crossroads – when Conan and the Junior Detective League stumble upon a mysterious cabin, it’s evident a piano-playing kidnapper may be conspiring to murder a helpless child! Or…is it? With this case set to conclude within the next volume, our aforementioned sixth sense may work against this mystery — while it’s possible there may be a would-be killer on the loose, the absence of any imminent danger implies all’s not what it seems, and our excitement deflates in questioning the lack of tension. 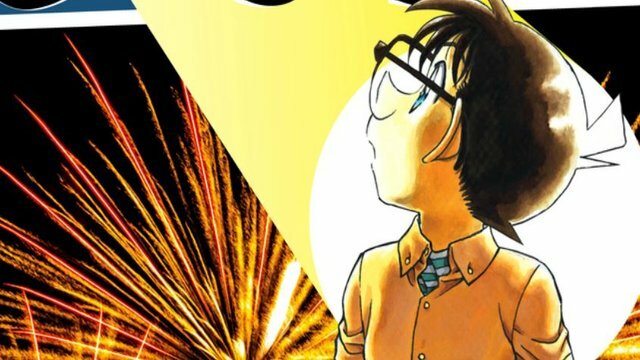 While this isn’t necessarily the case’s fault – volume chapter limits are what they are – we exit Volume 69’s least-engaging mystery feeling Conan’s school friends have overcome more thrilling jams. What we have here is another Case Closed volume that’s not aiming to push the envelope. Those of us who’ve stuck with Detective Conan for this long have already embraced its serial direction of tangential mysteries, only asking for Men in Black developments when it’s ready. For the impatient reader who moved on to other things, Volume 69 is a prime example of the series’ staleness; for us dedicated fans sticking with it until the very end, it’s business as usual. Regardless, a solid volume is a solid volume – let’s only hope Aoyama’s 2010/11 offerings translate smoothly for an English-reading audience.